Online Ticket sales have ended. There are some tickets available at the door, especially for the 7PM Friday screening. All sales are $15, cash or check. After completing a feature documentary on New York’s High Line, award-winning filmmaker Thomas Piper met the inspirational designer and plantsman, Piet Oudolf, and the idea for a new project was born. Five Seasons: The Gardens of Piet Oudolf immerses viewers in Oudolf’s work and takes us inside his creative process, from his beautifully abstract sketches, to theories on beauty, to the ecological implications of his ideas. Intimate discussions take place through all four seasons in Piet’s own gardens at Hummelo, and on visits to his signature public works in New York, Chicago, and the Netherlands, as well as to the far-flung locations that inspire his genius, including desert wildflowers in West Texas and post-industrial forests in Pennsylvania. As a narrative thread, the film also follows Oudolf as he designs and installs a major new garden at Hauser & Wirth Somerset, a gallery and arts center in Southwest England, a garden he considers his best work yet. 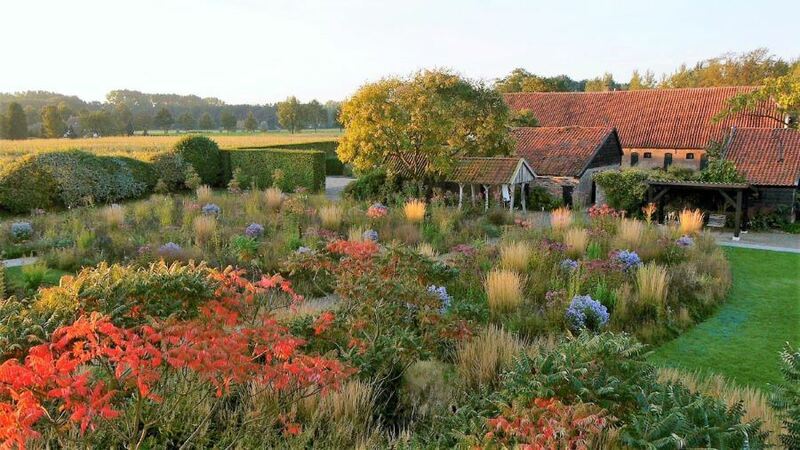 Piet Oudolf has radically redefined what gardens can be. As Rick Darke, the famous botanist, says to Piet in the film, “your work teaches us to see what what we have been unable to see.” Through poetic cinematography and unique access, Five Seasons reveals all that Piet sees, and celebrate all that we as viewers have been unable to see.